As you may have gathered, I’m in Chicago all week adjudicating at the Chicago AmateurPiano Competition. Judging starts today, but this competition offers an impressive events roster (a fairly unique concept amongst competitions), which runs in tandem, therefore proceedings actually started last night. Fifty-five talented pianists will play a short programme over the next two days with finals taking place on Friday (for the two-round competition) and Saturday morning (for the three-round competition). However, events kicked off last night with a ‘Meet the judges’ interview which was live streamed on Youtube. 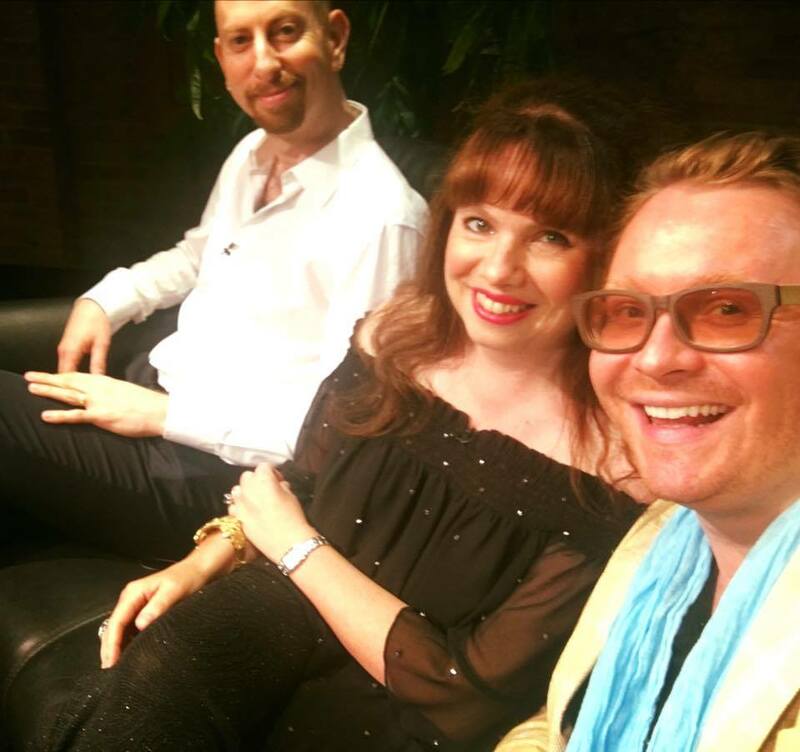 Russian/American pianist Konstantin Soukhovetski, American pianist and composer, Adam Neiman, and myself (pictured above on stage and ready to go, before the live stream event!) will adjudicate over the next few days and this interview was designed to introduce competitors to their judges and provide an opportunity to ask questions about our lives. You can watch the whole interview (although sadly, the connection was lost at the beginning so around 10 minutes of the opening has been cut! ), by clicking on the link below. The competition starts in just a few hours, and we will be hearing around half of the competitors today. I hope you find it interesting! Amateur pianist and competition planner, Sally Olson, lives in Chicago (US) and is on the committee of the Chicago Amateur Piano Competition 2016. This competition, which began in 2010, is steadily growing in popularity, with entrants hailing from many countries (the 2014 winner came from Glasgow). Few realise the tremendous amount of planning, fund-raising and marketing behind such an enterprise. Last year Sally wrote her first post for my blog about the competition (you can read it here), and in today’s post, she discusses the marketing campaign. Over to Sally. In September 2015 I wrote about the necessary first steps when planning a piano competition. I fully anticipated that I would write Part II a couple of months later, but this didn’t quite run to plan. So what happened? After the venue was set and the judges selected, we focused on a marketing plan to attract competitors. It consisted of placing advertisements in music or piano based magazines, diligently posting information on our Facebook page, and writing blogs on our website. What I didn’t expect was those wanting to apply for our competition would not do so for months. By February we had about 12 applicants and we needed 60! With this level of interest, would there be a competition at all? People were most definitely noticing us because our website averaged 100 hits per day. With that in mind, we kept our fingers crossed, and moved on to planning an “Event Calendar” which was designed to create interest and anticipation for those considering applying; these attractions, which are essentially a mixture of festival and competition events, certainly caused a buzz. When May 1st arrived (our deadline for applications) we were inundated with over 70 applicants, and by this time, had also achieved 1,413 hits on our website! Much to our surprise, the two-round competition (intended for 20 competitors) had as many applications as the three-round. So we expanded the two-round event to accommodate 29 competitors. 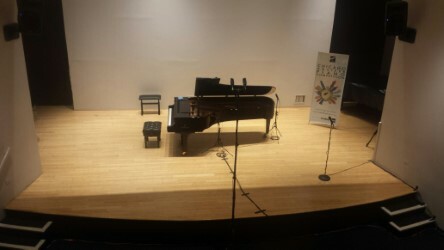 The advertising campaign had been a great success, with two out of three applications coming from pianists who had never previously attended the competition. Those competing have already competed in over 150 other competitions – so they are a very talented and seasoned group of competitors. Over ½ of the applicants requested master classes. Our conclusions at the end of the marketing campaign? Both printed publications and social networking (including a website) have proved crucial. The organisation of other ‘extra’ events has also helped to cultivate greater interest, readership and create a following too. In her next article, Sally focuses on the planning of extra events and customer relations.